Most of India's business environment has been tremendously shaken up by the recent demonetization of the higher currency notes by the Modi government. This is the third demonetization exercise undertaken by the Indian authorities, if we include the one done just before independence in 1946. It is still too early to accurately gauge the depth of the shakeup this has caused, but its impact on the real estate sector is immediately visible. Since Modi's surprise announcement, the ripples have been spreading through the already disturbed sector, which has been experiencing excruciatingly slow growth in recent times. Poor sales leading to almost flat prices, heavy liquidity challenges, and high unsold inventory have all colluded to keep real estate sector away from fulfilling its potential – and provide necessary residential stability to average citizens. 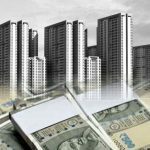 The real estate sector will definitely be affected by the demonetization exercise, as it has traditionally seen a very high involvement of black money and cash transactions. However, almost all such incidences have been in the secondary sales market, where cash components have traditionally been a veritable 'must'. In other words, the resale properties segment will take a big hit. However, short-term pain is inevitable when we look for any eventual long-term cure for the disease. 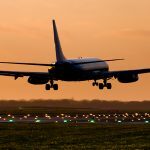 There has for long been a strident demand to bring transparency in the sector so that it becomes more organized, and cash dealings must necessarily be the first symptom of the disease to be dealt with. The luxury and high-end segments of residential real estate will also see a major impact from this exercise since it is another area which has seen a lot of payments done in cash. The legal banking/financing channels have accounted for only a small part of all transactions in this space. The demonetization move is likely to result in luxury property prices dipping by as much as 25-30% as sellers struggle to offload properties to generate liquidity. This means that luxury home buyers will suddenly have a much wider bandwidth of options to choose from. 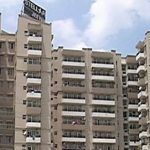 The primary market – or, more specifically, the market formed by projects undertaken by reputed and credible developers in the top 8 Indian cities – will remain more or less unaffected. This is because buyers into such projects take the home loans/finance route to buy their homes, and transactions are done through legal channels. Therefore, there will not be any major impact on sales in this segment. However, there might be an impact on quite a few projects in tier 2 or 3 cities where cash has played a role even in primary residential sales. However, the turmoil in this segment will settle down in a short period of time. 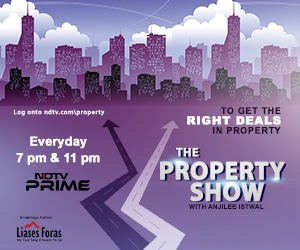 In the past one year, there have been a few positive and potentially long-lasting changes in the Indian real estate. The passing of RERA (Real Estate Regulation and Development Act 2016), the Benami Transactions Act and now the demonetization move will ensure that going forward, the sector will lose much of its historic taint and become more transparent. Only players who conduct their business with integrity will survive. This bodes well for end-users, who will be aware of their rights, have the assurance of not being cheated and will no longer need to contend with constantly rising prices. They will be able to buy properties of their choice at affordable prices, in projects which will assuredly be delivered on time. The demonetization exercise was a very necessary step which was bound to bring with it a tremendous shake-up wherever black money has played a major role. Over the long term, the Indian real estate sector will emerge stronger, healthier and capable of long periods of sustained growth. As of now, there is no reason for developers and investors who have conducted their dealings transparently and legally to panic. It will essentially be business as usual for them.